Sleep deprivation has various detrimental effects on bodily and mental functions. A person who doesn’t get enough sleep is prone to infection, and he will also experience mood swings and irritability. He will also age more quickly and will demonstrate poor judgment, confusion, forgetfulness, and impatience. What everyone should also realize is that sleep deprivation does not only endanger the concerned individual; it can also put other people at risk. This can occur when a very sleepy person gets behind the wheel of a vehicle. It is not a good idea to drive drowsy. Some experts state that driving while sleepy is also somewhat similar to driving drunk. Like alcohol, sleepiness affects how a person interprets what’s happening around him and how quickly he reacts. Below are more details regarding the dangers of drowsy driving. — Sleepiness affects cognitive function. A drowsy driver will have a more difficult time processing information or interpreting stimuli. Because of this, his judgment becomes impaired. His drowsiness will also make him less attentive to his surroundings, which will then affect reaction time. To illustrate, if a person is too sleepy to see that the driver ahead stopped suddenly, he’ll probably crash into the vehicle in front of him. — Sleep deprivation can turn you into a zombie driver. Have you ever been so sleepy that your eyes slowly close even if you want them to stay open? Once sleepiness takes over, a person will have a very hard time trying to stay awake. His eyes will involuntarily close, which then makes the driver a huge threat on the road because he could easily lose control of himself and of his vehicle. — Drowsiness makes a person aggressive and moody. No one wants to get into a fight with other drivers. This can quickly lead to other problems, like dangerous car chasing or illegal racing, which can then result in serious traffic accidents. There are several levels of sleep deprivation. Some, such as those who work in the medical field, like nurses, doctors, and medical technicians, can suffer from long-term sleep deficiency. Others, like very busy moms and dads or those with very demanding jobs, might not have enough time to get the recommended 7 to 8 hours of sleep each night as well. Teenagers are also at risk because many of them have bad sleeping habits. They could also be losing sleep because of their studies or school activities. Shift workers, especially those who regularly take over the graveyard shift, are at risk too. Every driver has to keep himself and other drivers and pedestrians safe. Therefore, if a person is aware that he lacks sleep, he must not man a vehicle. Here are other helpful tips for all drivers. 1. Find other ways to travel. If you just stayed the entire night finishing your final paper or your PowerPoint presentation for work, do not drive the next day. Use public transportation or ask a friend to drive you around. 2. Know the signs of sleepiness. 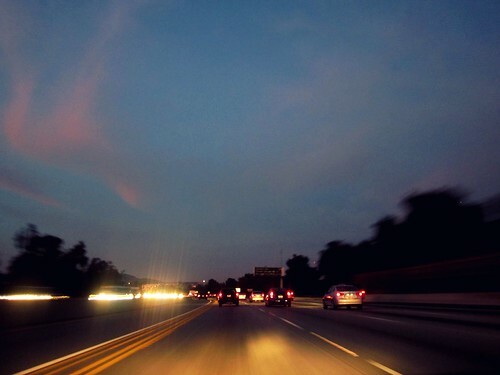 You might not realize it, but you could be driving very sleepily if you demonstrate the following – drifting to another lane, having difficulty keeping your eyes open, nodding off, or being actually jolted awake by a loud noise. Once you suspect that you are indeed driving while drowsy, make a quick stop at a restaurant or a cafÃ©. Stretch out, run around, or have some coffee. Do something that will increase your heart rate and stimulate your senses. There are now anti-sleep devices that can keep drivers safer, and these work in different ways. Some gadgets are placed behind the ear and these usually detect head movement. Once a device senses that the wearer is nodding off, it will emit a shrill alarm or produce a very strong vibration that will wake the driver up. Others test the level of alertness of drivers by producing alerts that the driver must physically respond to. samantha celera. “on the road”. February 5, 2011. Online image. Flickr. October 8, 2013. Claire Taylor is a freelance writer who hopes to aid DUI victims by composing articles that offer people helpful information about DUIs and automobile safety. For those who require legal help, she recommends law experts, Tad Nelson & Associates.